Party Frosting: Under the Sea! I am totally under the weather! Not fair! It is so beautiful out! I want to thank everyone for such a warm response to my tea bag cookies! You all made me feel so good! 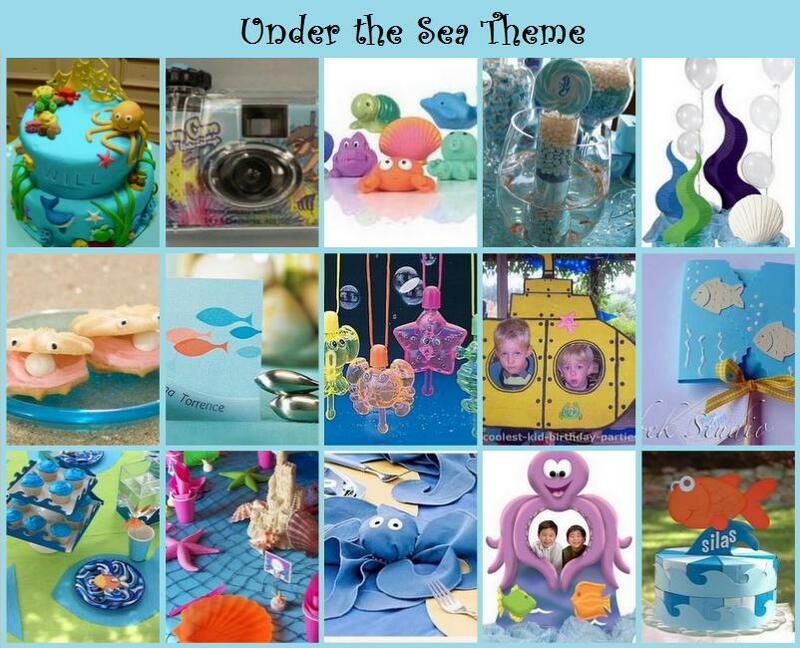 ...Today's inspiration is Under the Sea - hope you enjoy! Check out the Facebook page for Under the Sea handmade felt invites! Underwater camera: These would make great favors, especially if it's a water/pool party! They have an underwater scene on them. Fish bowl centerpiece: It has real goldfish in it! The kids would go crazy seeing these swim around as they ate! I think beta fish would beautiful too! Sea decorations: These would totally set the scene! Oyster cookies: Simple cookie project that would be fun to eat! Fish placecard holders: Perfect for holding your buffet tags! Sea creature bubble wands: What is an under the sea party without bubbles!?! You should even add a bubble machine! Submarine cutout: The kids will love receiving a copy of their picture taken in the submarine as a thank you gift! Fish lollipop cover: I love this idea for any theme - just a fun way to dress up a plain lollipop! Wave cupcake stand: Add cutout waves to all your displays to really carry the theme! Sea tablescape: Lay a net, starfish and shells to a blue tablecloth to create a fun background! Octopus napkin: Wrap cotton balls or a small ball with a rubberband and a a blue napkin and glue on some eyes... instant Octopus! Octopus prop: This giant cardboard prop would be a great focal point and photo op! Fish topped cake boxes: Same ladies that did the Alice in Wonderland one - I just love their stuff!